On Feb. 28, 2019, NHTSA published a notice in the Federal Register announcing proposed amendments to FMVSS 305, ‘‘Electric powered vehicles: Electrolyte spillage and electrical shock protection.’’ According to the notice, the amendments are proposed to clarify the direct contact protection requirements that apply to high voltage connectors, and to explicitly permit the use of high voltage connectors that cannot be separated without the use of tools. The proposed changes would harmonize FMVSS 305 with Global Technical Regulations (GTRs) No. 13 and No. 20, which explicitly permit such connectors. In addition, it would make three minor technical corrections to the standard. Comments must be received on or before March 15, 2019. 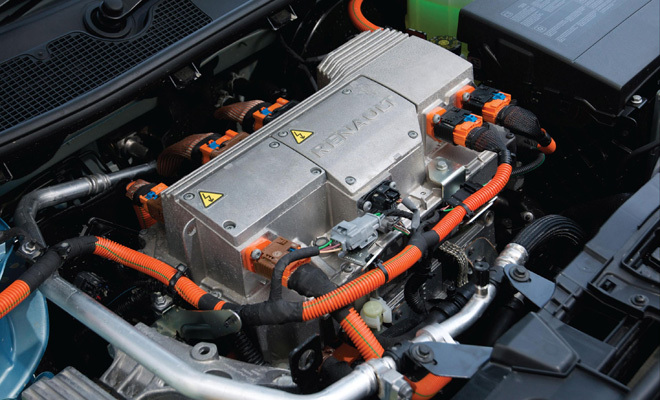 NHTSA is issuing a final rule to update FMVSS 305, “Electric-powered vehicles: electrolyte spillage and electrical shock protection.” The agency characterizes the final rule as a “deregulatory action” as it imposes no costs and adjusts FMVSS 305 to give more flexibility to manufacturers not only for current electric vehicle designs, but also for introducing new technologies to the U.S. market, including hydrogen fuel cell vehicles (HFCVs) and 48-volt mild hybrid technologies. By adopting the so-called "physical barrier option," the final rule adjusts the standard to remove an obstruction that prevented hydrogen fuel cell vehicles from being offered for sale in the U.S. Adopting the physical barrier option also enables manufacturers to produce 48-volt mild hybrid systems without having to use electrical isolation safety measures that involve more complexity, higher consumer costs, and higher mass, without an incremental safety benefit. The rule is in response to petitions for rulemaking from Toyota and the Auto Alliance. The requirements contained in the final rule are based on the electrical safety requirements of GTR No. 13.8. Compliance with the rule will be required Sep. 27, 2018. Optional early compliance is permitted. NHTSA contact: William Sanches, Office of Crashworthiness Standards, Tel: 202-493-0248. On December 15, 2016 NHTSA published a notice in the Federal Register finalizing requirements for FMVSS 141, Minimum Sound Requirements for Hybrid and Electric Vehicles. The new standard responds to Congress' mandate in the Pedestrian Safety Enhancement Act that hybrid and electric vehicles meet minimum sound requirements to provide an audible alert for blind and visually-impaired pedestrians. All hybrid and electric light vehicles with four wheels and a gross vehicle weight rating of 10,000 pounds or less will be required to make audible noise when traveling in reverse or forward at speeds up to 30 kilometers per hour. At higher speeds, the sound alert is not required because other factors, such as tire and wind noise, provide adequate audible warning to pedestrians. Per the final rule, manufacturers have until Sept. 1, 2019, to equip all new hybrid and electric vehicles with sounds that meet the new federal safety standard. Half of new hybrid and electric vehicles must be in compliance one year before the final deadline. Petitions for reconsideration must be received no later than Jan. 30, 2017. On March 10, 2016, NHTSA published an NPRM in the Federal Register that proposes to amend FMVSS 305 for purposes of adopting various electrical safety requirements in GTR No. 13, “Hydrogen and fuel cell vehicles.” With the NPRM, NHTSA proposes to adopt electrical safety requirements to protect against direct and indirect contact of high voltage sources during everyday operation of electric-powered vehicles. NHTSA also proposes to adopt an optional method of meeting post-crash electrical safety requirements consistent with that set forth in GTR No. 13 involving use of physical barriers to prevent direct or indirect contact (by occupants or emergency services personnel) with high voltage sources. Importantly, the NPRM would also facilitate the introduction of new technologies including hydrogen fuel cell vehicles and 48 volt mild hybrid technologies. The NPRM is in response to petitions filed both by the Alliance and Toyota. NHTSA is proposing that compliance with the requirements would be mandatory 180 days after the date of publication of the final rule. Optional early compliance is proposed. Comments on the NPRM are due May 9, 2016. NHTSA contacts: William J. Sanchez, Office of Crashworthiness Standards (telephone: 202-493-0248). Deirdre Fujita, Office of Chief Counsel (telephone: 202-366-2992). Please note that for this FOA, 100% of all direct labor must be in the U.S.
Concept papers are due 2/28 and full applications are due 3/28. A webinar is scheduled for 1/28 at 2 pm. On Oct. 27, 2015, CARB published a notice announcing that it will hold a Board hearing on Dec. 17, 2015 to consider amendments to the ZEV regulation. CARB proposes to amend the ZEV regulation to require each individual vehicle earning additional ZEV credits under the fast refueling provision to document use of fast refueling. The proposed amendment would be effective for MY 2017 vehicles. A copy of the hearing notice, proposed amendments and related documents are available here. On February 6, 2015, a notice was published in the Maryland Register announcing that the Governor has issued an Executive Order calling for the state to increase the number of ZEVs in its fleet through the normal course of fleet replacement so that at least 25 percent of annual fleet purchases of light duty vehicles will be ZEVs by 2025. To reach this goal, MD agencies are to increase the percentage of ZEVs in their fleets by three percent per year from FY2016 through FY 2020 so that at least 15% percent of annual fleet purchases will be ZEVs by FY 2020. Per the Executive Order, the state will also procure EV charging equipment and other fueling infrastructure that may be needed.